The National Curriculum Is More Difficult Than Ever – Let Our Primary & Secondary Maths Tutors Help Your Child. Does your child need some extra help with Maths? Is he or she woefully lacking confidence in Maths, born out of an ever changing curriculum and fast pace learning in school? Whether your child is at the start of their Mathematical journey or studying for that all important Maths GCSE or A Level, our primary and secondary maths teachers at the education place can help. Liverpool Maths Classes – You Book, We Assess, You Relax! We offer a free, no obligation assessment at the education place and will then forward a link to your child’s personalised assessment and feedback. With many years of experience in Maths teaching in schools, our primary and secondary tutors can assess where vital support is needed and then work together with your child to deliver that support in a pre planned and personalised Maths learning plan. Regular progress reports will be given in order to gain a momentum of success in order to build that ever important mathematical confidence. Number 1 is the absolute basis for numbers 2 and 3. Number 2 has to be good in order for your child to conquer number 3! So they all depend on each other, right through to GCSE. These broad areas remain the same throughout but it is their degree of complexity which changes. But children can be ready to take these challenges on if the foundation work in number has been covered. Developing confidence and a positive attitude towards Maths in order to be able to use Maths effectively in their daily lives. 2. Developing mathematical knowledge and mathematical fluency when solving maths problems and using mathematical reasoning. 3. Covering a wide range of mathematical concepts such as number, algebra, geometry and statistics in Maths in GCSE. Your child needs mathematical understanding for life. They need to be able to use maths in everyday situations – so let us help you get them prepared for life by achieving their Maths GCSE. Your Child + Our Teaching + Your Support. Let’s Fulfil Your Child’s Potential! 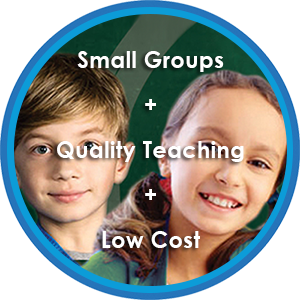 Together, we can develop your child and supplement their school learning. That little bit of extra support and time to consolidate new concepts can make all the difference. Confidence is key and together we can help your child make the very most of their talents and abilities.